“It is with great sadness that we pass along news that one of the original creators of 12” G.I. Joe, Don Levine, has passed away. Services will be held at Sunday in Providence, RI at Temple Bethel. We send our condolences to his family on behalf of the Club membership and G.I. Joe fans the world over. Bottom Line: Our sincerest and most heartfelt condolences to Don’s family. Words cannot describe the depth of our gratitude or the sincerity of our feelings for the life of this wonderful man and his multitude of marvelous accomplishments. 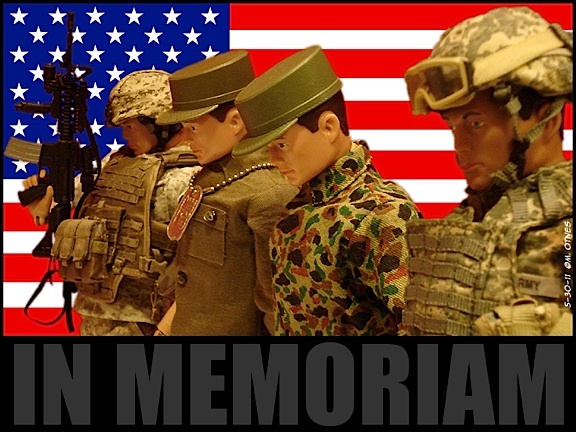 This is an incredibly sad day for all GIjOE fans and collectors. God Speed, Mr. Levine. Rest in Peace. A new commander has a mission for you. Thank you for giving the world such a wonderful toy that has broken down language barriers, political borders, and brought people from around the globe into a community. You will always be remembered. Amen. Very well stated, Ed. Thanks for leaving your tribute.